In a world where productivity has increased in almost every sector, Campot explains that productivity has actually decreased in the field of construction. “The reason why is that every building is now a prototype.” Many contemporary structures push the envelope of building design, exploring space and the limits of modern engineering, sometimes through amorphous volumes and organic forms. 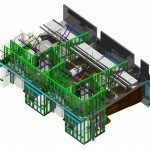 Given the new level of complexity, Campot asks, “How do we go from a design-as-you-go process to a building manufacturing process?” Campot is a firm believer that the answer is virtual building, and Suffolk Construction has seen positive results from using BIM on several major projects. On MIT’s 500,000 sq. ft. (approx. 46,452 m2) David H. Koch Institute for Integrative Cancer Research, completed in 2010, Suffolk Construction was able to leverage the efficiency of off-site prefabrication for many of the building components. Early coordination between disciplines helped to reduce time spent in the field. 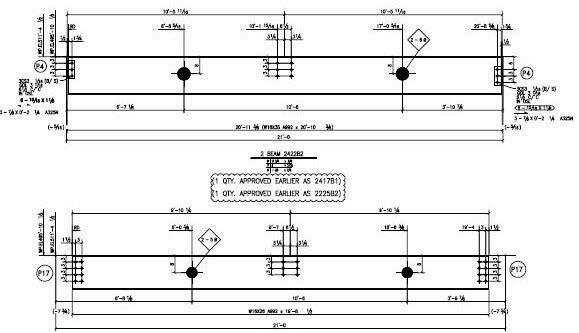 For example, $650,000 was saved by utilizing BIM to identify where beam penetrations needed to be, so that they could be incorporated at the time of steel fabrication. 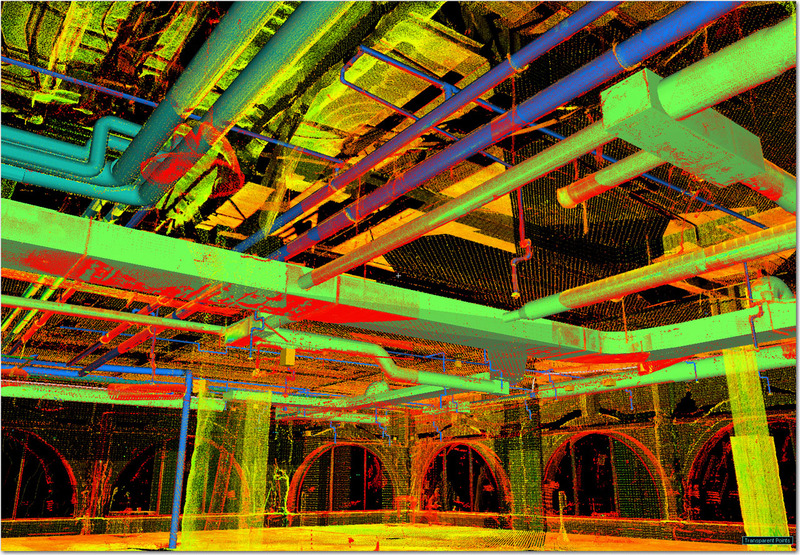 Suffolk Construction was also able to generate a sizeable clash detection report by using BIM. This enabled the building team to make early changes, avoiding later, costly changes during the construction process. “We returned the savings to the client,” says Campot. 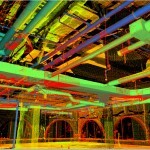 With results like that, clients are quick to see the value of BIM, too. 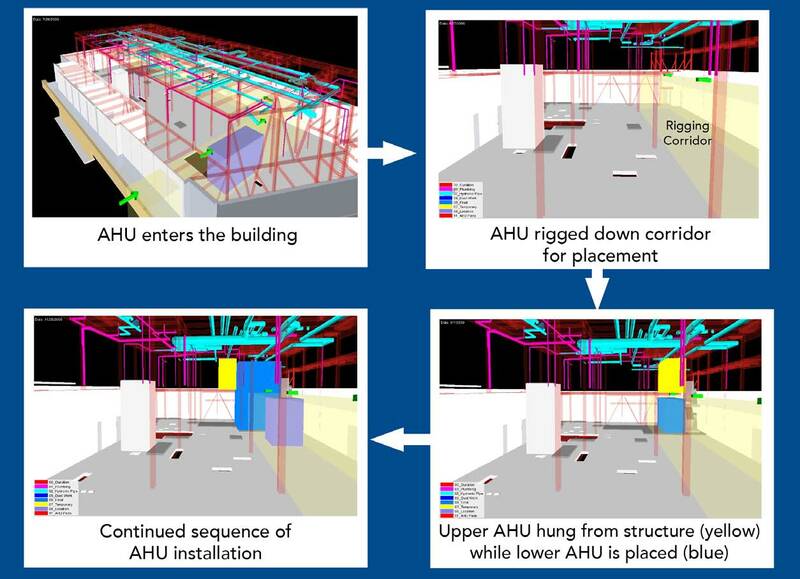 Campot explains that the advantages of BIM go beyond clash detection: “We preplanned the delivery path for the air handler units, so we didn’t have to wait for them to be delivered before proceeding with construction. This also provided a permanent replacement path, which was beneficial to the client.” Furthermore, Suffolk Construction estimated that requests for information (RFIs) were reduced by 2/3 during the Koch Institute project, when compared to conventional construction methods. Estimating that 40-60 man-hours are dedicated to every RFI, Suffolk Construction calculates the monetary savings as $814,374. 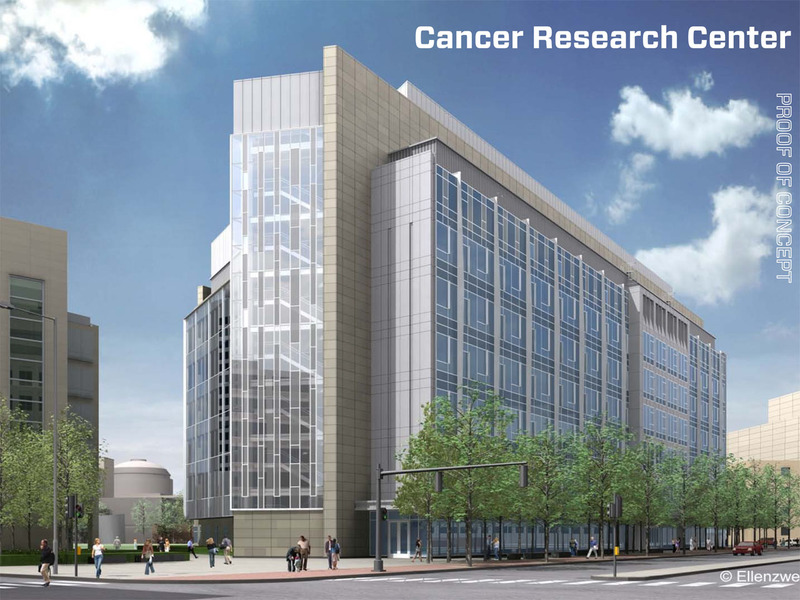 Cancer Research Center proof of concept. Interior fit out started 5 months ahead of traditional project schedule. 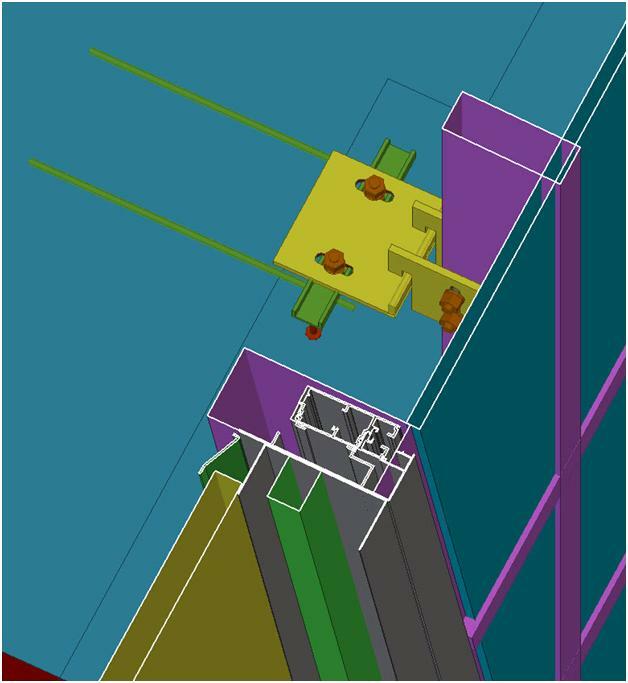 Using BIM, all beam penetrations were coordinated with steel fabrication, resulting in savings of $650,000. Eighty-five percent of piping and valve assemblies were fabricated off-site, saving over $100,000 in field labor and enhanced scheduling. Similarly impressive results were had by using BIM on the 638,000 sq. ft. (approx. 59,272 m2) Baystate Medical Center building in Springfield, Massachusetts. 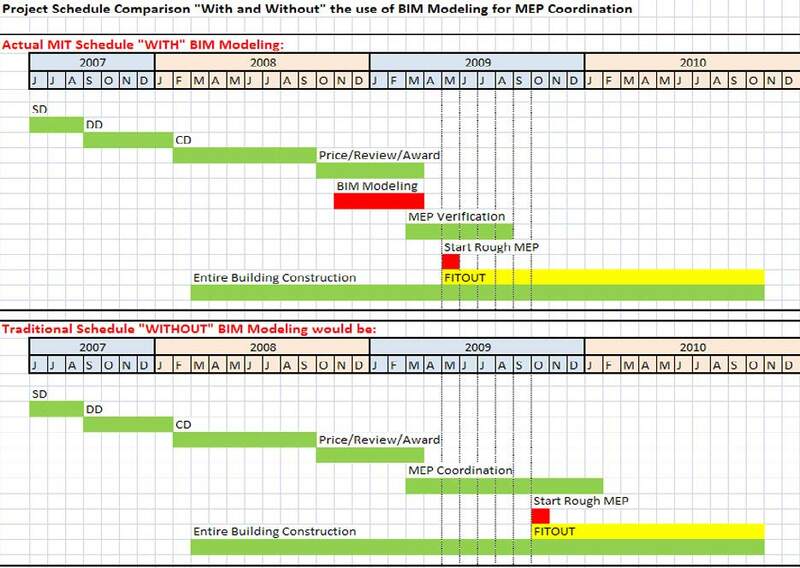 From the project outset, the detailed construction information afforded by BIM improved the accuracy of the bidding process. 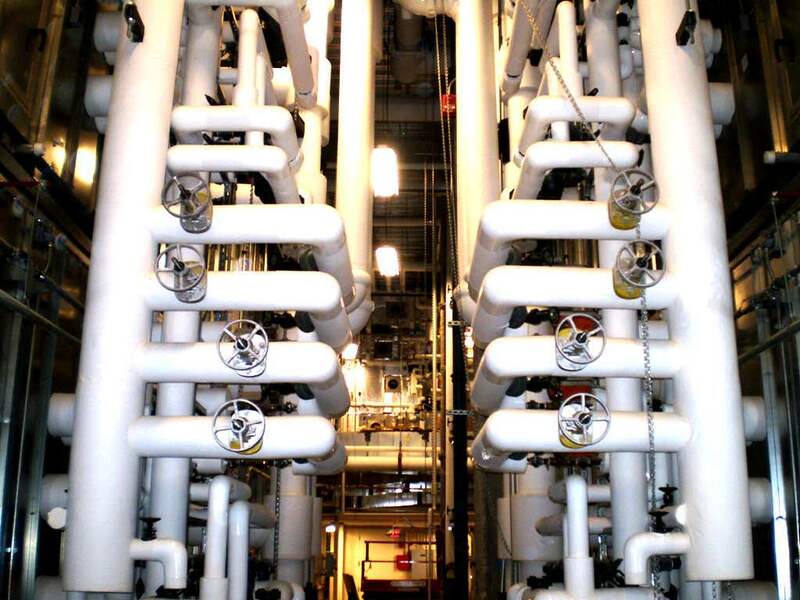 Traditional workflows were improved by installing mechanical, electrical, and plumbing hangers in advance; not only did this expedite construction, but it enabled the work to be done by only one or two workers. Moreover, it utilized hangers efficiently, resulting in a cost savings on materials. 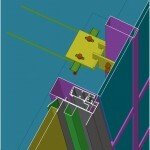 Using BIM directly benefited the client, as well. The ability to model layouts of several different types of operating room equipment allowed Baystate Medical Center to delay purchase of the actual equipment, thus exercising more options. Overall, the implementation of BIM kept the project so flexible that a pediatric wing, which had been eliminated from the building plan when the recession made budgets tight, was reinstated in the project at a much later date – without delaying the project completion date. Christopher Rippingham is the BIM manager at DPR Construction, which is one of the nation’s leading general contractors. Rippingham shares similar success stories associated with the use of BIM. For example, with the 250,000 sq. ft. (approx. 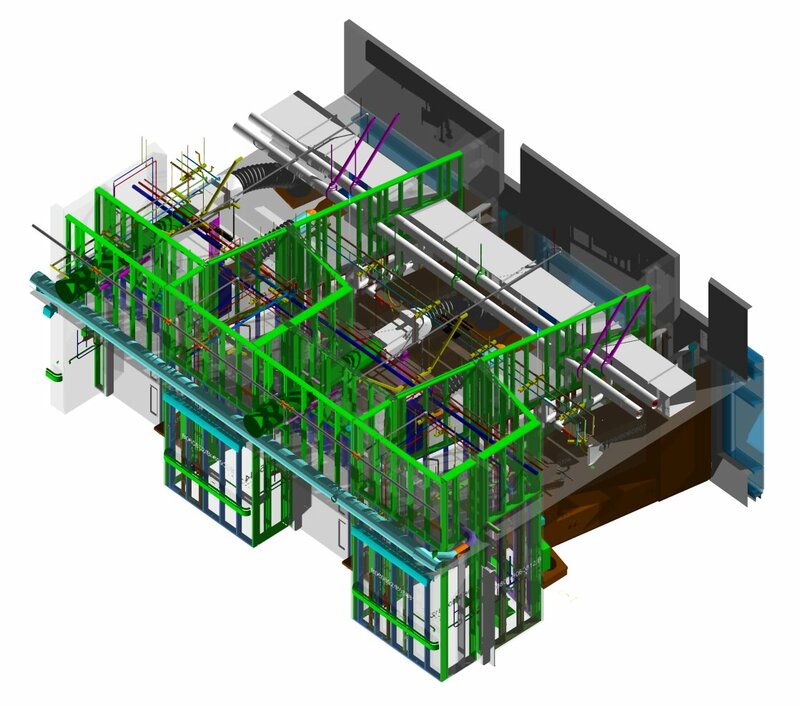 23,226 m2) Palo Alto Medical Foundation building in Mountain View, California, virtual modeling of the building’s podium deck was so accurate that DPR was able to perform the actual pour after the building’s steel superstructure had been placed above. 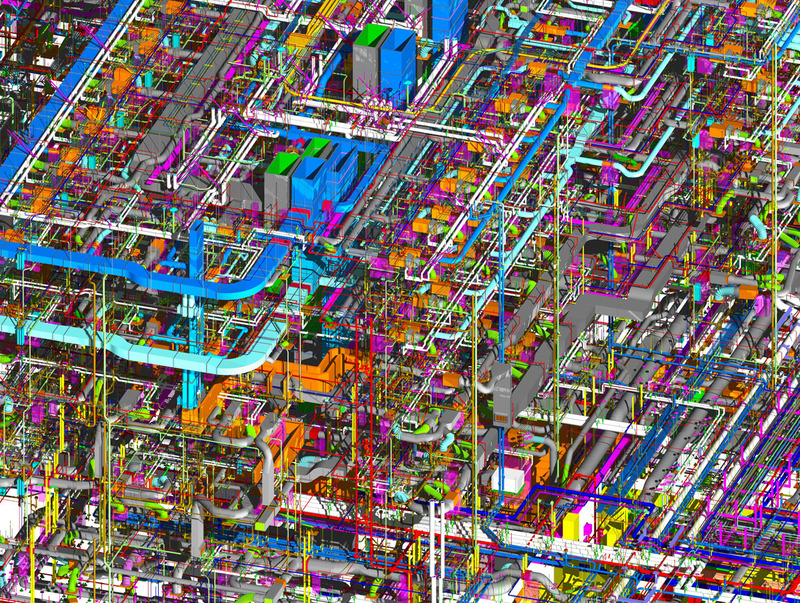 “Overall, using BIM allowed us to take 4 to 6 weeks out of the schedule,” Rippingham estimates. On one large project, Rippingham reports, BIM helped to gain the necessary funding: “Thirteen thousand pages of plans had been generated for the project, yet it was difficult to visualize the finished building. So a model was used to show things like the future children’s area.” This generated interest in the project. DPR Construction uses BIM in the field; currently they have a "computer on wheels" that they bring to job sites, and the company is considering providing many workers with iPads. The construction team also meets daily to reference the building model and look at sequencing. “The true value of BIM is its use as a coordination and communication tool,” says Rippingham; he feels that this advantage makes BIM useful on small projects as well as the larger ones where construction companies realize gains from prefabricating repetitive elements of the design. Perhaps this is the best indicator that BIM will usher in a new era for the construction industry: it is capable of creating a work process in which the old problems will not simply be gone, but forgotten.